Let’s celebrate the beginning of a neighborhood renaissance! Construction of University Lofts has begun and is scheduled to be complete in January 2019, but you can be a part of this exciting moment in the University’s history from the very start. This new student housing complex will be just a short walking distance from the planned bus rapid transit Red Line and will have an enormously positive impact on the quality of life and economy of our surrounding community. 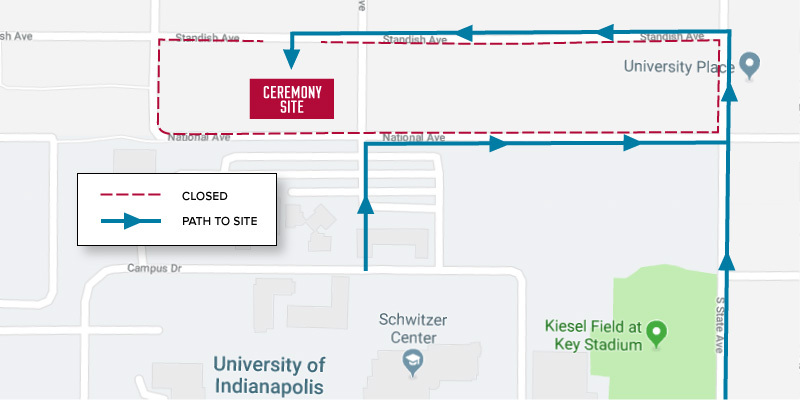 Please join President Rob Manuel; Indianapolis Mayor Joe Hogsett; Will Zink, Senior Vice President of Construction and Development at Strategic Capital Partners; and other special guests for this celebration ceremony. The event will take place on the north side of campus (see map below) and is free and open to the community. Thank you for being a key part of our future. We hope you will be a part of this historic moment!